The Wet & Dry Foundation can be used as a powder as well as a foundation too. If you want a natural look apply it dry with the given sponge and if you want a little coverage , apply it with damp sponge or your favorite beauty blender. Both ways, you will get a natural soft look, which is very much ideal for everyday wear esp daytime. 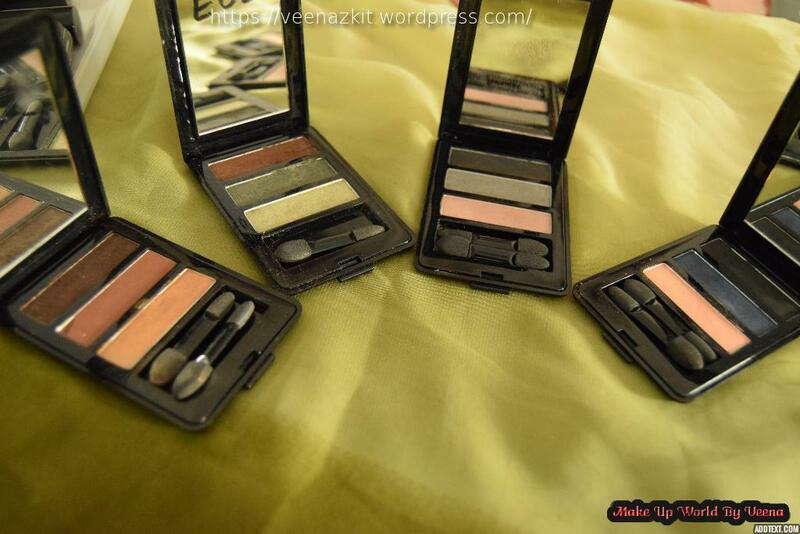 These eyeshadow palettes are very handy and you can carry around in your purse anytime everywhere. 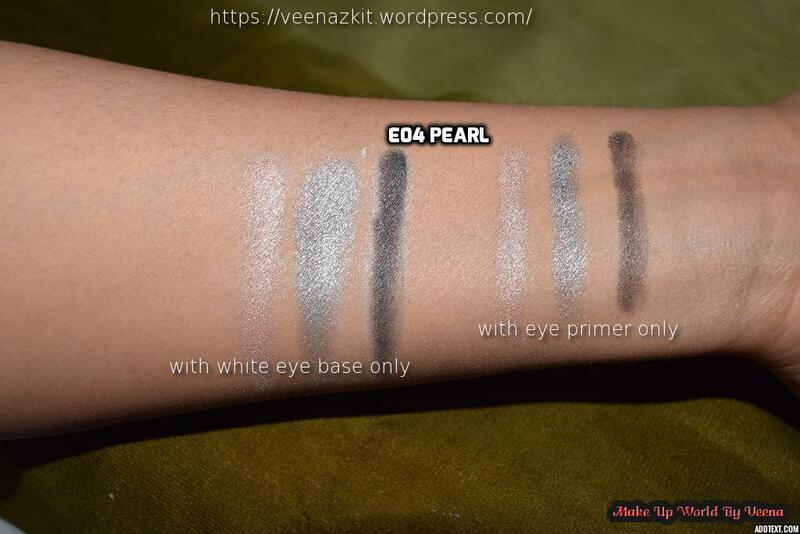 E04 is a palette ideal for Smokey eye look. 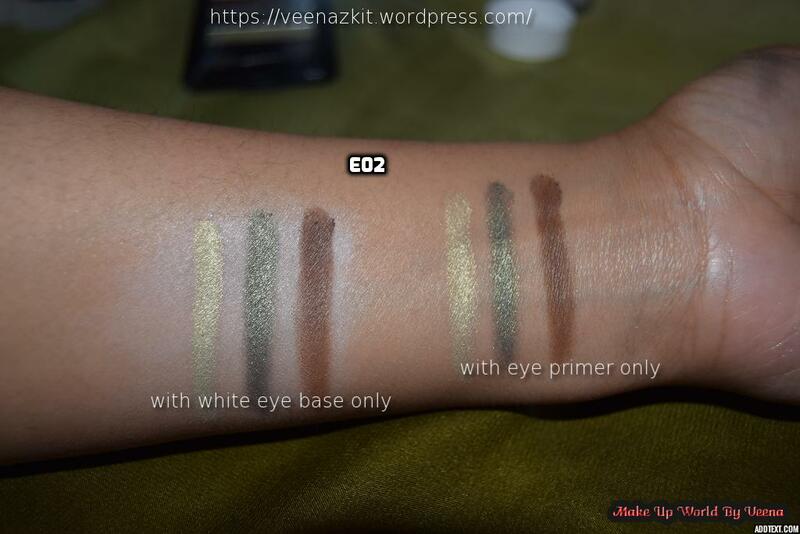 You can see the swatch I did, my eye make up routine always includes eye primer and white eye base. 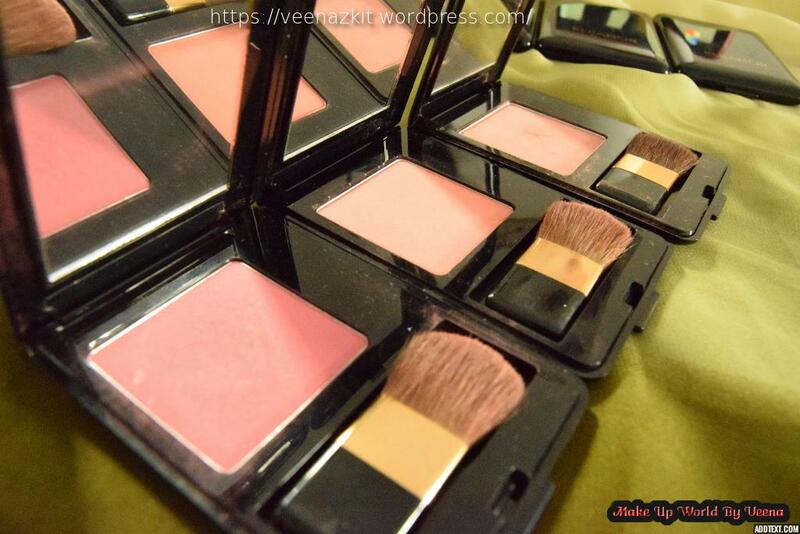 So as you see , the colors offered in these palettes are so beautiful and are very pigmented. 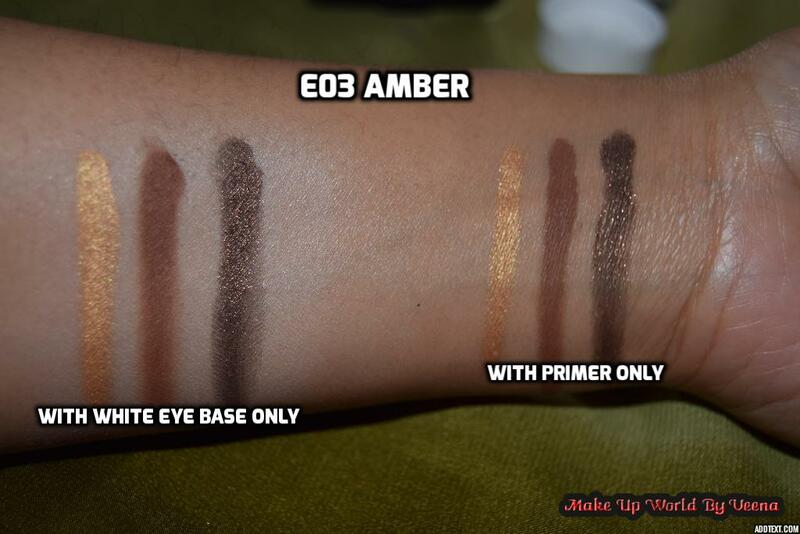 My favorite if the E03 Amber. It’s been with me for couple of months now and it is my “most-used” palette. Specially for creating crease, it it just beautiful. I must tell you their blushers are a must have. I’ve been using the coral for months now and it is one of my faves. 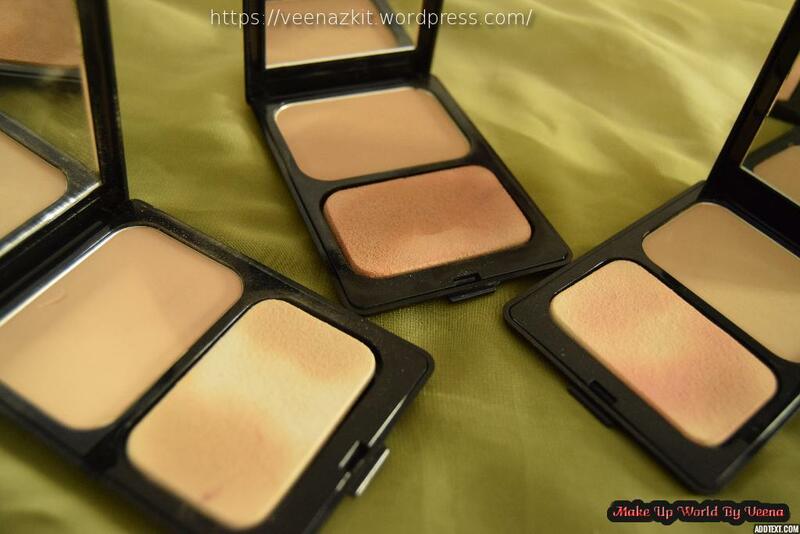 It has a cute packaging, light, easy to carry and hence, ends up in my make up pouch all the time. 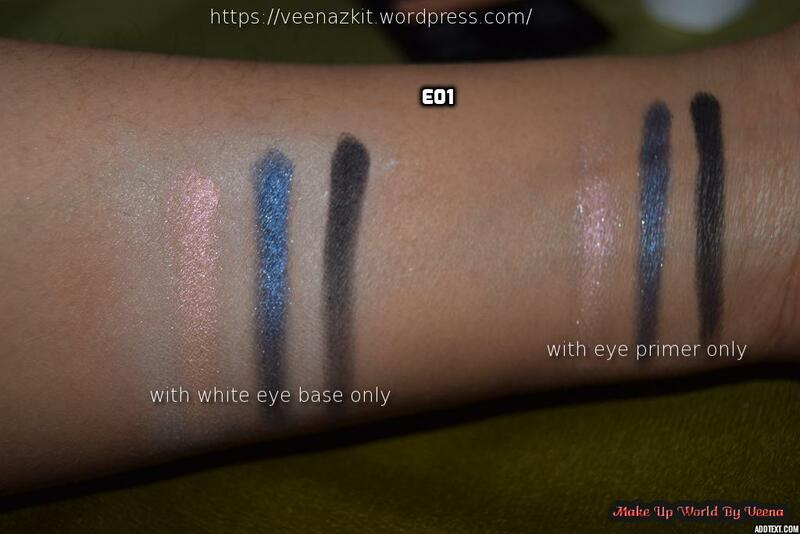 The swatch you see is applied directly on skin with no base. Color is just perfect. 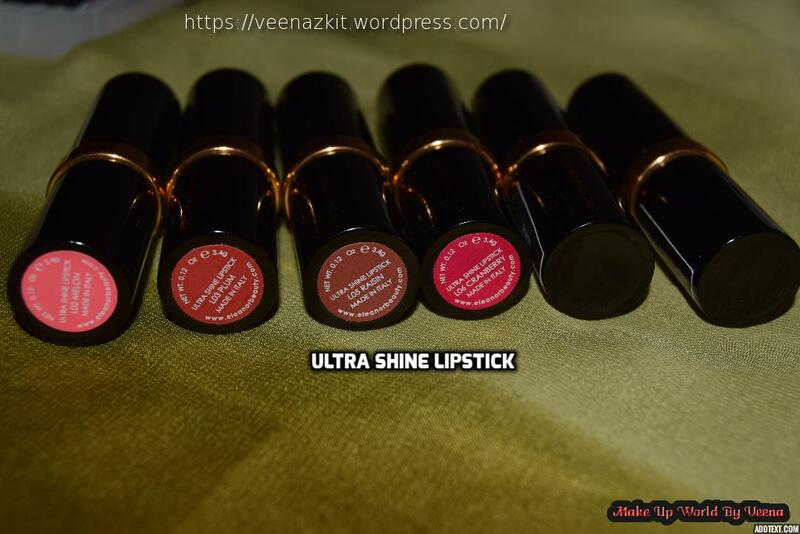 Their lipsticks come in two range , Ultra Shine and Intense Color. 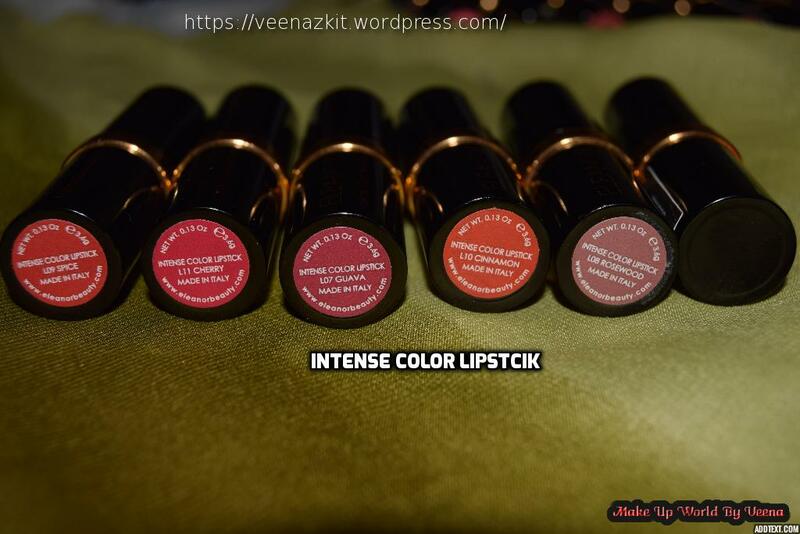 The Intense Color Lipstick range have a collection of 6 darker shades than the Ultra Shine ones. They aren’t as shiny as the Ultra Shine ones and are very pigmented. 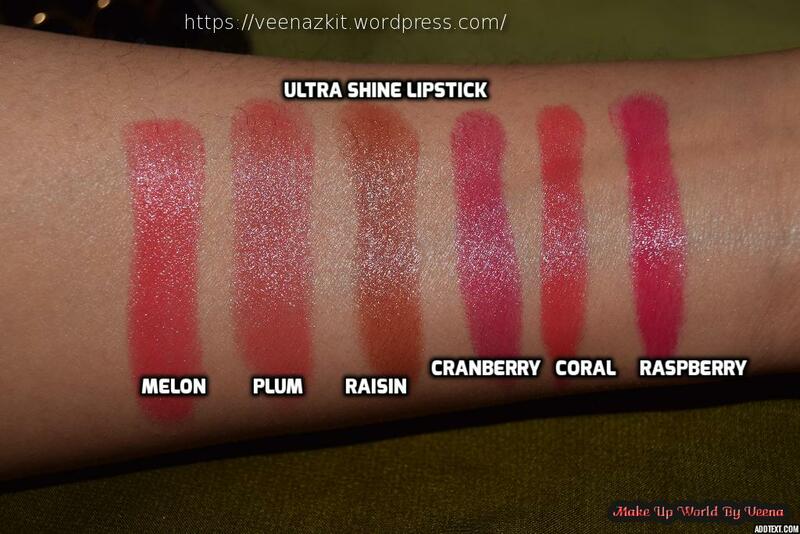 My favorite shade is Guava and Cinnamon. You can wear them on daily basis. what’s best about these is they have SPF15 and are moisturizing and revitalizing anti ageing ones. Eleanor Mega Lash Mascara is water-resistant, volumizing, non-clumping and lengthening. 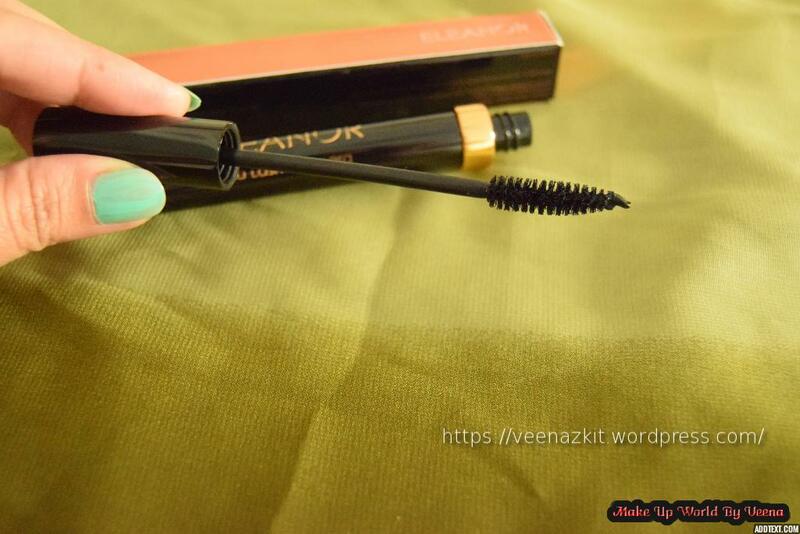 For me, the mascara worked really well, it is not clumpy, it added volume , not sure about the lengthening part though but yes made a lot of difference. 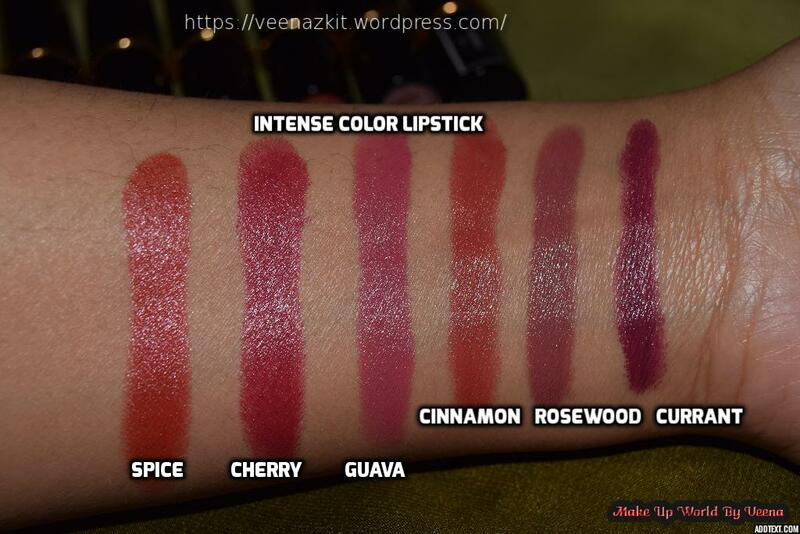 I’ll be showing the mascara swatch in another post and will link it here. Conclusion: Good quality products at an affordable range. 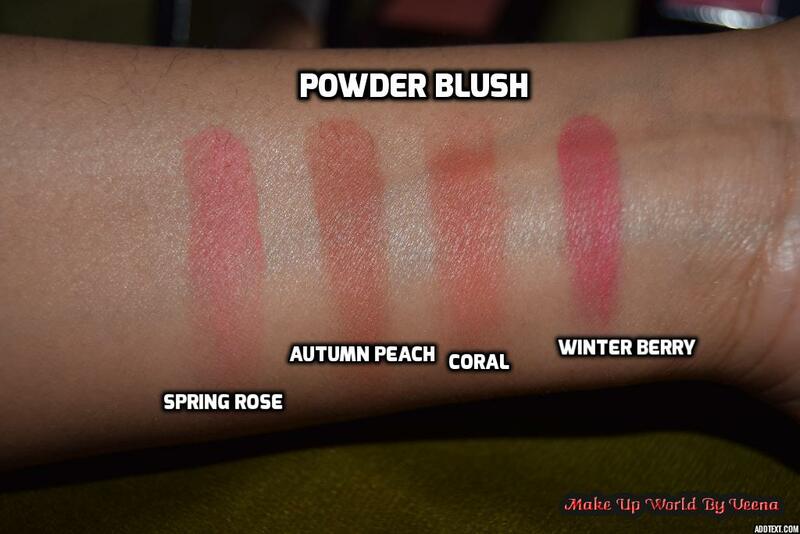 Must haves are the lipsticks and blushers, I simply love them. Best part is they aren’t tested on animals.